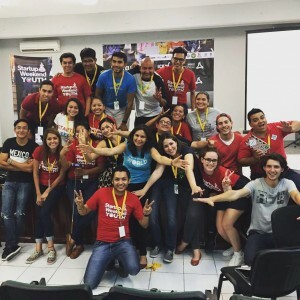 My last Startup Weekend as a participant brings us back to the Startup Weekend Mega Centro in mid-April in Mexico… So what have I been doing since then? Coach? 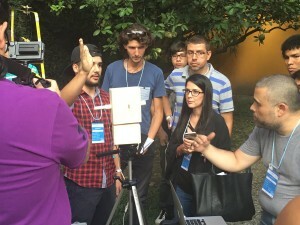 Well, at the end of April, I was invited as a coach at the Startup Weekend Youth Campeche (18 years old and less) and more recently, I was a coach & judge for the ViveMaker Hackathon (a kind of Startup Weekend more focused on the technical field) at the Nodo Coworking in Medellin, Colombia. the more different opinions you get and the more chances you have of ending up lost. So you have to filter their ‘pieces of advice’ and sometimes stick to your vision and what you want to do. coaches have time… but you don’t! They are here to give their opinions and sometimes they never attended a Startup Weekend/Hackathon. So they don’t always know what you are going through. Be careful, your time is precious and you can’t waste the whole day talking with 10 coaches. So, pick your favorite! In conclusion, try to spot the coach(es) that really fit your team and listen but don’t be driven or overcome. The relationship should be very natural. I don’t want to impress teams… A coach can be seen as a very experienced guy who is right no matter what, NO! I always take a simple tone and try to act in a relaxed way in order to be friendly so they don’t underestimate their team and overestimate me. That’s why I always say that I give an opinion and not an advice! I’m digging! When the idea is a bit unclear (often the case), I ask tons of questions… Sometimes, it annoys the team; sometimes they think I am stupid… But if it is unclear for me and it is still unclear after questions, it will be for most people during the final pitch. Moreover, with questions, I want to check if they actually know what they are talking about. It is easier then to make a point and use what they’ve just said. This way, they realize it themselves!! I have emotions… I always try to see as many teams as I can and then spend more time with my ‘favorites’. So I take notes and I go back to the ones I felt the most comfortable with. It is just a question of relationship in the end because I want to spend more time with the people I feel good with. As a result, you start caring about them and their idea. It is a very good feeling! Who are your clients? Who are your users? Do you have data about them? Did you talk to some of them? You have to know the people that will pay and the people that will create value using your product. Show me you know their problem! Dig up your value proposition! If it is too common, try to find more differentiation! Look up for the competition to get more inspiration. In case there is a tangible prototype; how much does it cost? Put that in your pitch along with a selling price… That’s it! Don’t even think about breakeven and 3 years projections… Show me costs, a selling price, and show you can scale fast! You are way too little to think 3 years from now. Make it simpler… You are trying to do too many things. What is the problem you are trying to solve? Show me a solution that can simply solve it and build a prototype that may do it – that is your MVP (Minimum Viable Product). In 2 days, you cannot build the moon but you can build a little copy of the moon and show that it can scale to reach the size of the moon. Alright, that’s it! I had a great time coaching teams at those two events and I hope there will be more to come! I now feel that I have enough experience to share it in an impactful way to help some projects grow and get better. It is not easy because you have to take into account the passion of people for their idea, their pride, the fact that they don’t know you, their personality but all of that makes the challenge even better! So, being a coach for me is to be clear, firm but respectful, pragmatic and empathic! And finally, to try to give more opinions than ‘pieces of advice’ 😉 That makes you more human! 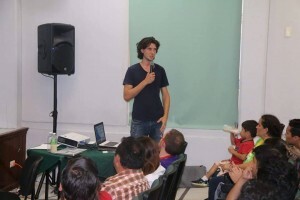 In Campeche, the Startup Weekend took place at the CecyTec, a free public High School with a focus on technology. Most students come from low and middle classes here. CecyTec is clearly the kind of modern educational example Mexico is trying to promote in terms of integration & accessibility. I felt once again that the place was perfect for the theme of the event! I was so impressed to see such young people going on stage with such an amazing energy. I met really smart kids and to be honest, I was inspired by their intelligence and desire to do something meaningful in this World. They proved me that it doesn’t matter where you come from or how old you are. All that matters is your will and what you do. Respect for those Mexican kids! On that weekend, I saw some kids who will bring a great future to Mexico! In Medellin, we were at the Nodo Coworking which I knew from the time I lived there. The Startup community is getting bigger each day in this major city of South America, putting Medellin on the way to become a major Startup hub. 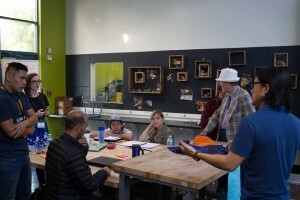 At this early stage for the city, Nodo is one of the major co-working spaces of the city. As for the city, I felt a great energy towards making things bigger in this place! I was really impressed to see such a level of execution. 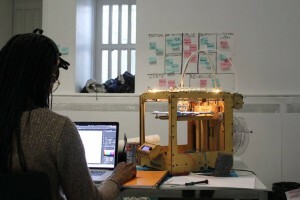 Some projects had really awesome prototypes; a connected composter, a Mario Kart Kart, a 3D printer built from recycling wastes, a satellite station, a connected pot etc etc! When I see such great projects in Medellin and then remember the people that told me that there was nothing but violence in this city and I was crazy to go there… Well, I feel sorry for their ignorance and I want to tell them to come over here because creative and hardworking are actually 2 adjectives among many others that define the energy of this city! Being a coach and a judge at this Hackathon was a great honor. Thank you! This article is dedicated to my traveling friend Eladio Castillo and Camilo Melo who welcomed me back to Medellin as a brother! I’m glad to have crossed your paths! 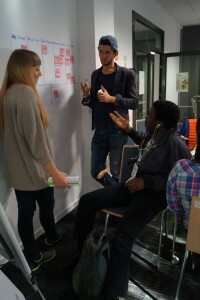 This entry was posted in SW Summaries and tagged coach, coaching, Colombia, françois gobert, Medellin, mentor, Mexico, Startup, Startup weekend, Startup Weekend World Tour, swworldtour by François. Bookmark the permalink.